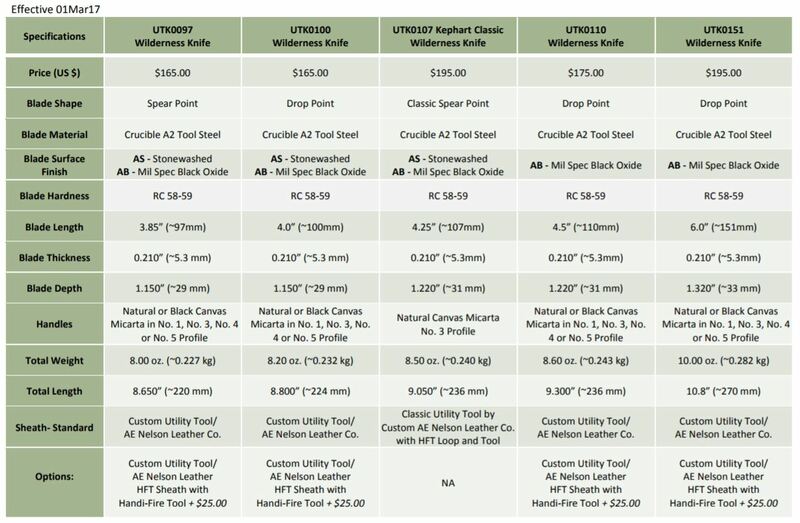 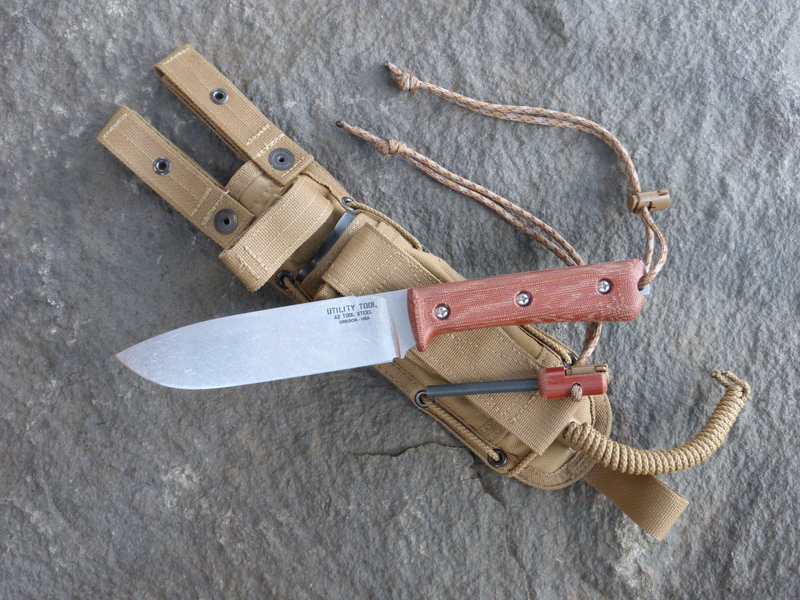 The UTK0151 6-inch blade Wilderness Knife is added to the Utility Tool family of knives as a direct result of customer input. 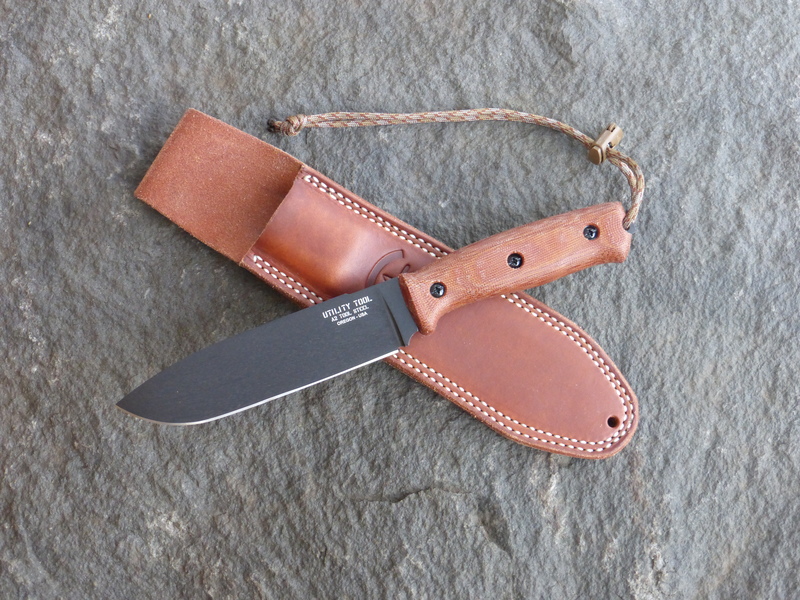 We were asked to build a mid-sized knife between the 4.5-inch blade UTK0110 Wilderness Knife and the 8-inch blade Field Knife by a number of customers. The resulting UTK0151 uses the same tang and handle profiles as the rest of the Wilderness Knife line, but extends the 0.210” thick A2 Tool Steel blade in both length and depth. 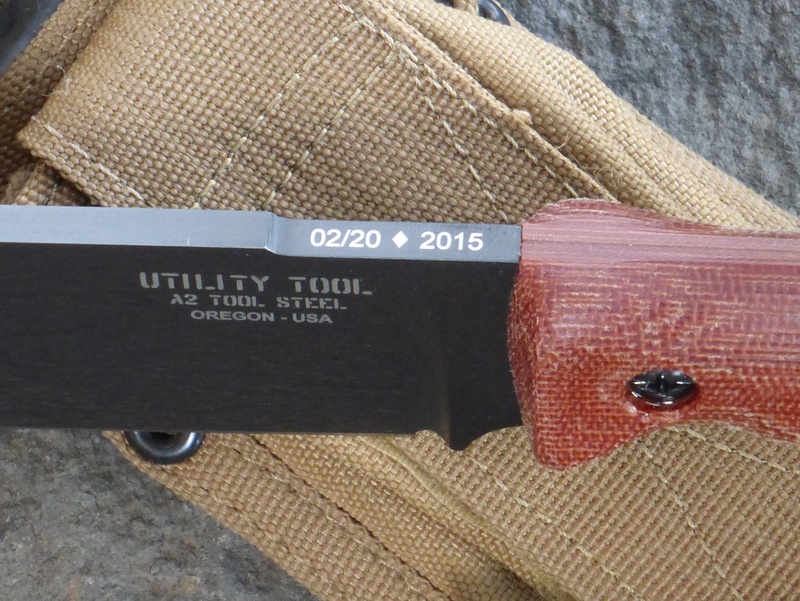 This blade length results in a point of balance forward of the guard. The spine is flat and extends to the tip with the same “KS Edge” (as with the rest of the Wilderness Knives) and is keen enough to strike sparks from Handi-Fire Tool or to use in the field as needed as a scraping tool. 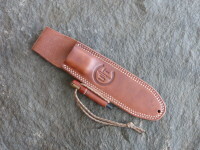 Also new with the UTK0151 is the “Classic” sheath developed in cooperation with the AE Nelson Leather Company. This timeless design draws much influence from sheaths popular at the turn of the 20th century. 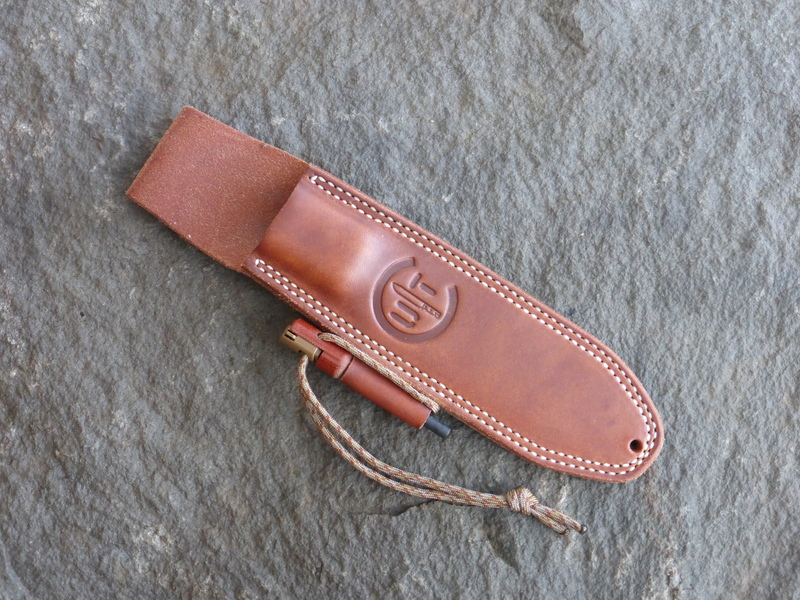 A unique twist on the design is that it can be used in either left or right hand draw configurations. 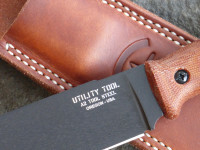 Utility Tool – AE Nelson “Classic” Leather sheath with Handi-Fire Tool loop. 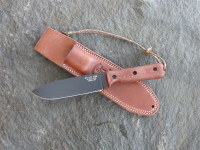 This sheath is unique due to its ability to hold the UTK0151 in either left or right hand carry positions. 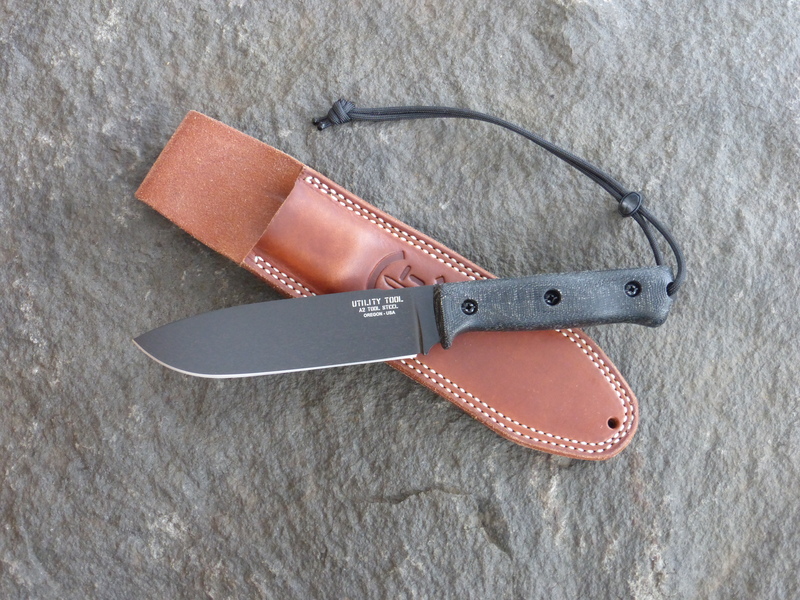 UTK0151 AB (Black Oxide finish) shown with Black Micarta Number 1 handle and Classic leather sheath. 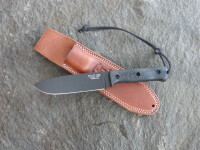 UTK0151 AB (Black Oxide finish) shown with Black Micarta Number 3 handle and Classic leather sheath. 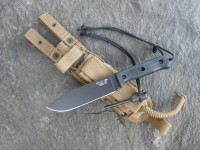 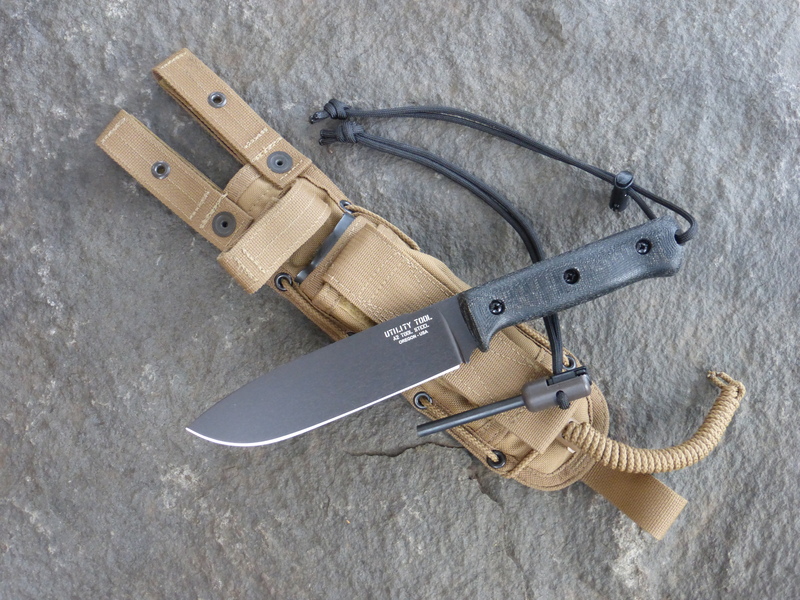 UTK0151 AB (Black Oxide finish) shown with Black Micarta Number 1 handle and Handi-Fire Tool with Spec Ops Combat Master short sheath in Coyote. 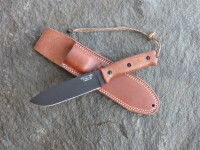 UTK0151 AB (Black Oxide finish) shown with Natural Micarta Number 4 handle and Classic leather sheath. 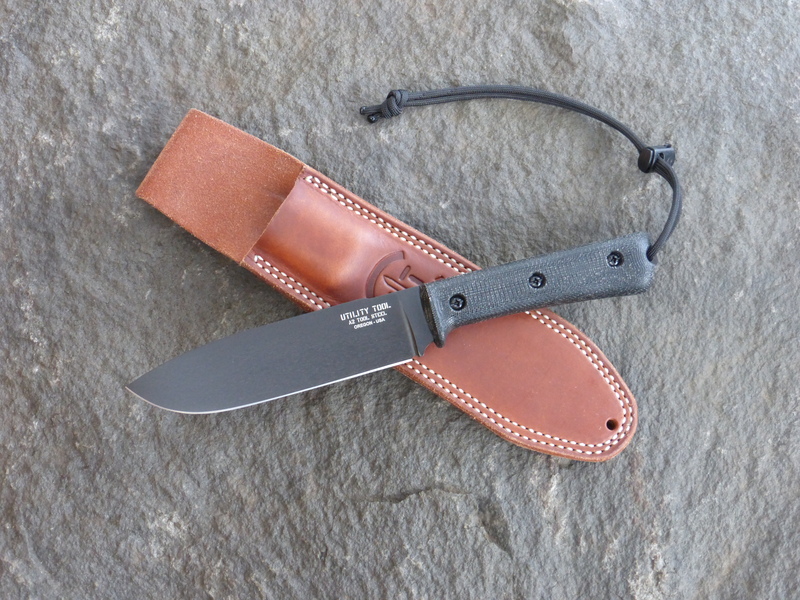 UTK0151 AB (Black Oxide finish) shown with Natural Micarta Number 5 handle and Classic leather sheath. 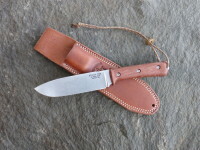 UTK0151 AS (Stonewashed finish) shown with Natural Micarta Number 3 handle and Classic leather sheath. UTK0151 AS (Stonewashed finish) shown with Natural Micarta Number 3 handle and Handi-Fire Tool with Spec Ops Combat Master short sheath in Coyote. 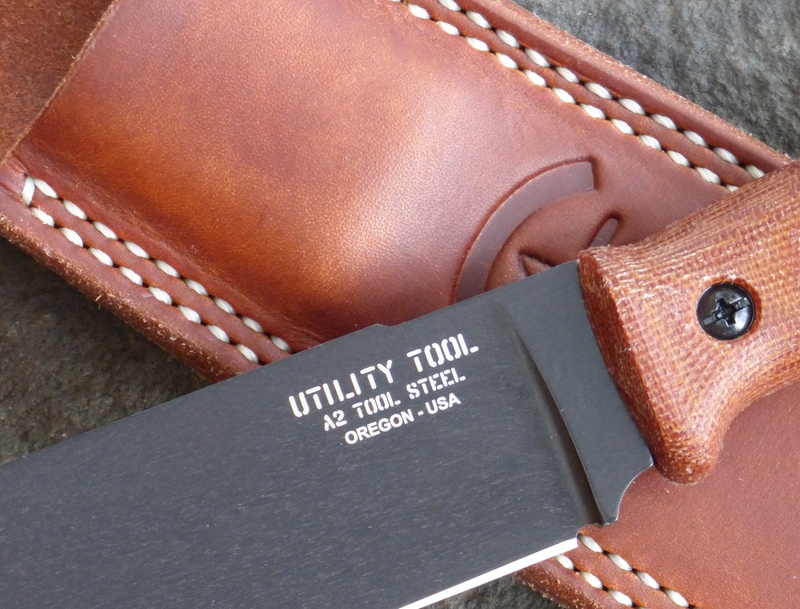 UTK0151 AB (Black Oxide finish) shown with Natural Micarta Number 5 handle – Detail of blade marking and Classic leather sheath. UTK0151 AB (Black Oxide finish) shown with Natural Micarta Number 4 handle – Detail of serial number marking and Spec Op Brand sheath.